Like it or not, most kids today are more proficient on a tablet or phone than many adults. For many of these children, playing on a tablet or phone is as much a babysitting tool for Mom or Dad as it is an exercise in technological play. If you are going to let your kids ‘play’ on your tablet or phone, however, why not have some apps downloaded that are both fun and educational? In this list of the best educational apps for kids, we have sourced educational apps for a variety of educational apps for kids of all ages. Be warned, however, that “kid’s game” you just downloaded may become your new favorite game! For even more kids related apps, visit our list of the best kids apps. 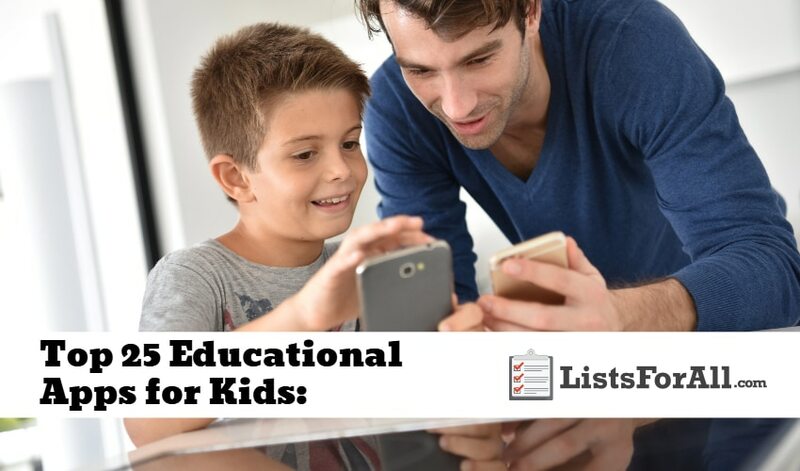 This list also offers a variety of great apps, and some of them will also help kids learn as well. About the App: Geared for ages 2-5, Eli Explorer helps children learn different words and phrases. Ten different languages are also offered in the app, a great feature for children learning an additional language. With the interactive free-play nature of the game, the game is as fun as it is educational. About the App: Barefoot World Atlas boasts an interactive 3D globe that allows for hours of exploration. Children will be able to explore the world and learn about animals, people, and geography. 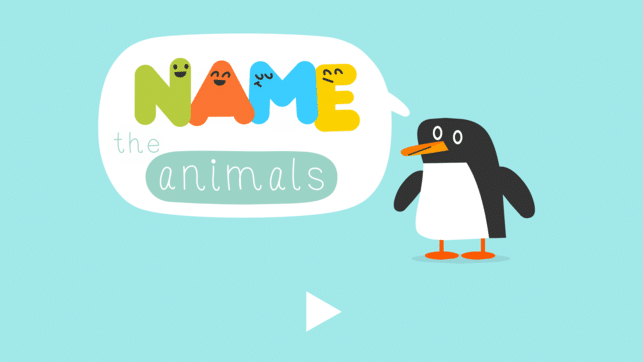 Made for ages 9-11, this app is also narrated so younger children can use the app as well. 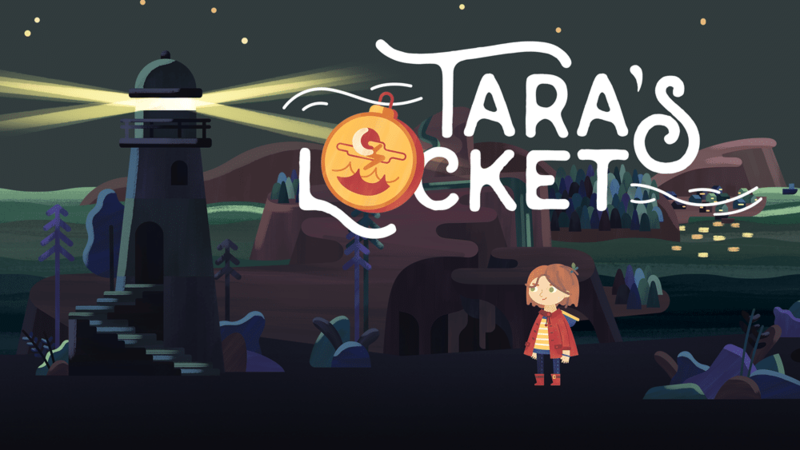 The New York Times described the app as “an immersive app that immediately invites exploration.” So if you have a child that loves to explore and learn new things, this may be the perfect app for them. About the App: Part math, part strategy, Threes! is suitable for both kids and adults. 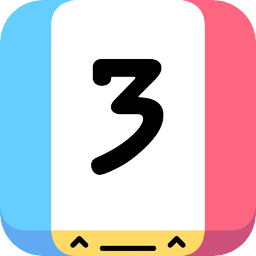 If you or your child like Sudoku or Bejeweled, Threes! is a great alternative. This app will get users thinking and using strategy to continue to get higher and higher numbers. It is a straightforward game but can be very addicting and beneficial to players. 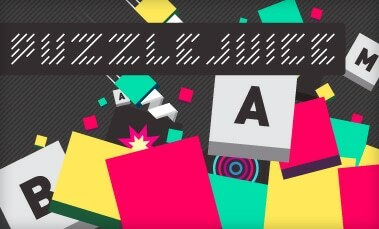 About the App: Best suited for ages 11 and older, the Puzzlejuice app is a Tetris inspired word game. To win, players must arrange colored block shapes into rows which can then be converted into letters and words. Dictionary definitions can also be found for each spelled word, enhancing the educational nature of the game. This game is going to be perfect for a child that enjoys learning new words or could use a little help improving their vocabulary. About the App: With over 900 million downloads, the star of this app is a monster named Om Nom who must solve puzzles to score candy. 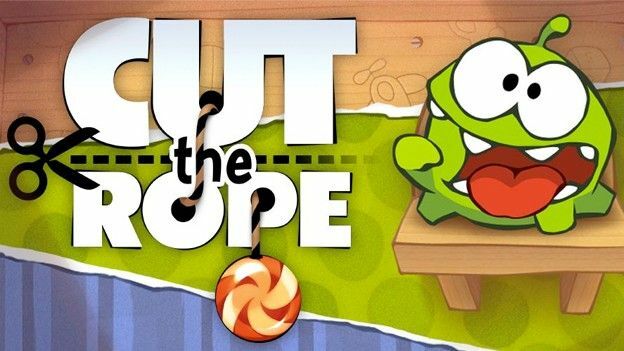 Suitable for both kids and adults, Cut the Rope features 425 levels that will challenge your ability to think outside of the box. This physics-based game will get users thinking without ever knowing that it is a learning-based game! 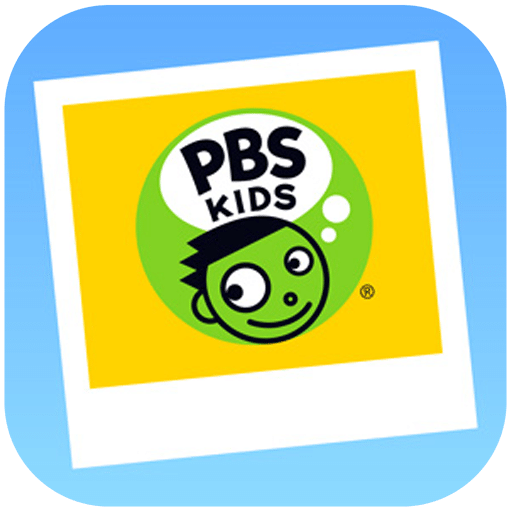 About the App: PBS offers a ton of great resources, especially for kids. With the PBS Kids Video app, you can bring all of your children’s favorite shows with you wherever you go. Kids will be able to enjoy shows like Sesame Street, Odd Squad, Wild Kratts, and more. So if you are on a long car ride or whenever, PBS Kids Video is going to come in clutch. About the App: Toontastic is going to allow children to be able to draw, animate, and narrate their own cartoons. And, with the app being easy to use as well, it is fun for all ages. Kids will be able to create in a variety of different scenes. From interstellar adventures to breaking news reports to family photo albums, creating options become almost endless. 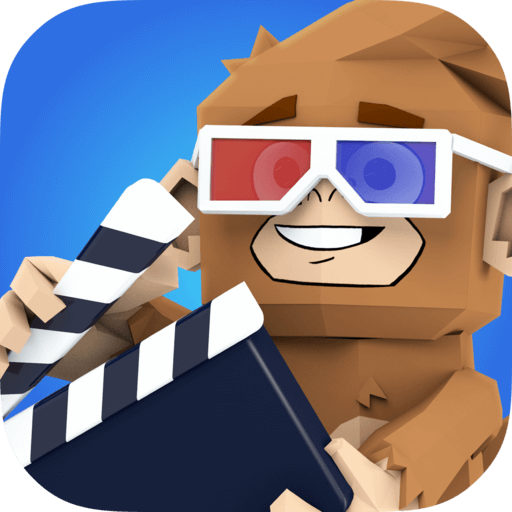 After creating, users can save their 3D videos as well. All of this makes Toontastic 3D an excellent app for any child that enjoys creating stuff. About the App: As you may have guessed, this app is going to cover the topic of the Earth. It is going to do it though in a fun and interactive way. Kids will be able to explore the earth, discover fossils, trigger earthquakes, and so much more. With the app being so interactive and fun to use, kids won’t even realize that they are learning. About the App: The best time to learn a new language is as a child. And, while you are not able to go back to in time yourself, you can make sure that your child is able to maximize their learning potential. 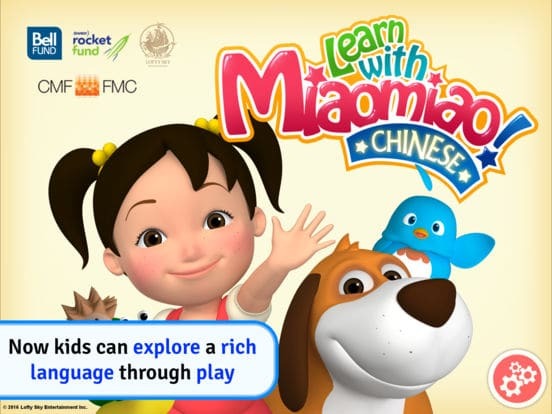 Miaomiao’s Chinese For Kids is going to allow your child to be able to learn Chinese in a fun and interactive way. With over 50+ Chinese cartoons in the app that are always introducing new words, young viewers will naturally learn as they watch. Also, for advanced kids, the videos are available in fully dubbed in Mandarin. 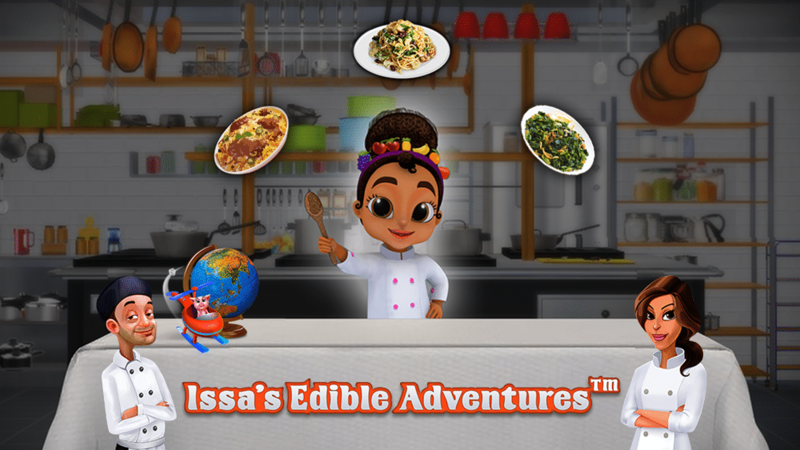 About the App: Issa’s Edible Adventures is going to be the perfect learning app for children that love cooking. In the app, users will travel with Issa around the world as she learns about different foods. Kids will help Issa track down ingredients and then prepare dishes in the 3D kitchen. And, if you are feeling really inspired, each cooking adventure also includes an actual recipe that you can use in your own kitchen. If you do decide to try out one of these recipes, make sure to visit our list of the best kitchen tools to make sure you have everything that you need. About the App: Children that love music are going to love Mussila. In the app, kids will help Moa, Kara, Ziggy, and Jon find their instruments and costumes. As they do this, they will be asked to complete different musical challenges along the way. Kids will be able to learn about different instruments, define rhythm and melodies, and more. Mussila is going to offer an easy way to introduce kids to the world of music. 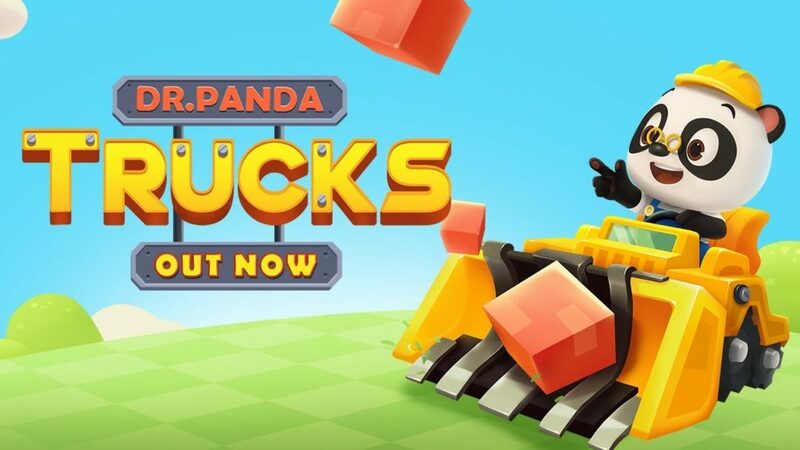 About the App: Kids who love to build are going to enjoy Dr. Panda Trucks. As kids play in the app, they will be able to build, drive unique trucks, explore construction sites, and more. And, if building and creating isn’t enough, kids will also be able to blast their creations to pieces if they want as well. So who knows? Maybe Dr. Panda Trucks will inspire your child to be a future architect or engineer. 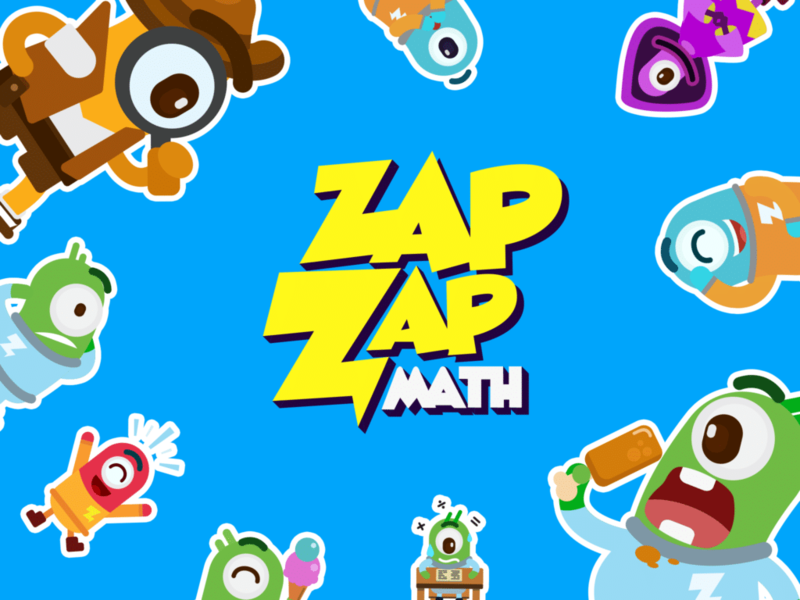 About the App: Whether you have a child that loves math or one that needs a little extra help, Zap Zap Math serves both well. Designed for kids K-6th, this app is going to cover over 180 different math games. Also, the math games are going to cover a variety of different math subtopics as well. This style of game-learning is going to be perfect for helping kids improve their math skills. About the App: While going to the zoo is not going to be a feasible daily activity, this app will allow kids daily interaction with their favorite animals. With access to 25 different animals in the app, kids will be able to learn and play with all kinds of animals. And, with all of the great learning information provided, your kids may just be the ones telling you what an animal does next time you go to the zoo. About the App: Creativity in children should be nurtured and encouraged. This app is going to help with that in game form. Kids will be able to create ‘monsters’ of all different sizes and features. With all of the different features, animations, silly sound effects, and more, creativity is endless. And, if the creation is really good, or your child just wants it, you can print out creations. 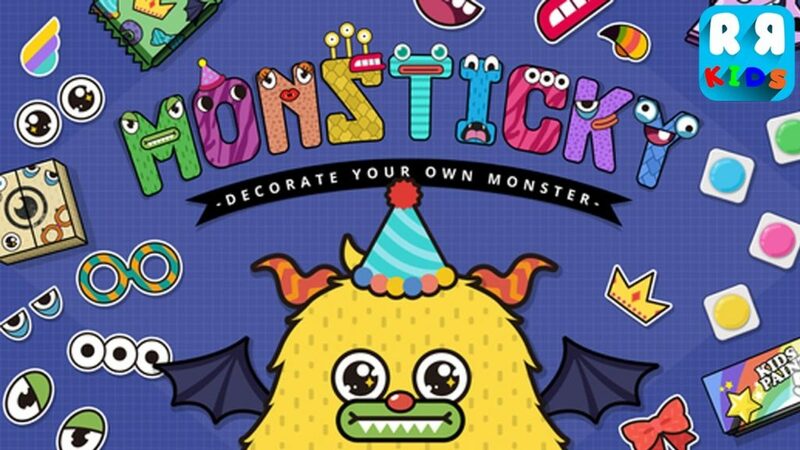 So allow your child to embrace their creative side with the MonSticky-Decorate Your Monsters app. About the App: This app is a giant explorable storybook. Within this virtual reality storybook, kids will be able to explore five different areas. Each area will have hand-illustrated visuals and stunning soundtracks to enhance the story. So if you have a child that loves storytime, make sure that you allow them to explore this virtual storybook. About the App: With a large variety of hair styling options, Toca Hair Salon 3 is everything a young stylist could want. Kids will be able to create unique hair designs as well as wash, blow-dry, and more. They will also be able to dress characters in different clothing as well. With so many different characters, hairstyles, clothing options, and more, the combinations are endless. Toca Hair Salon is going to allow kids to unleash their creative side through hair styling and design. About the App: Kids that are able to get a jump on science at an early age will have a big head start on all their classmates later on. 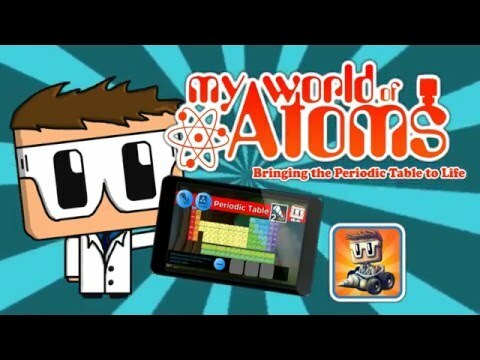 My World of Atoms is going to allow for that as kids follow and learn from Professor Albert. Kids will be able to learn about atoms, discover elements, and what happens when you combine new elements. All of this is going to be done in a fun and interactive way. About the App: Fun and unique animations are going to be the highlight of this reading learning app. Each word will be accompanied by a “delightful animation” that will help the child stay engaged and better learn. Also, each word is going to have an interactive puzzle as well. Featuring over 100 words to learn and play with, Endless Alphabet is an excellent app for helping children learn to read. About the App: The BrainPop Jr. Movie of the Week is going to provide a new learning movie for kids to watch each week. Along with the movie, there is going to be quizzes related to the movie and educational activities. Covering a variety of subjects like science, health, math, and more, this app is going to allow kids to cover a lot of learning topics. If you are looking for a learning-based app for kids 5-9, this app is going to be an excellent option. 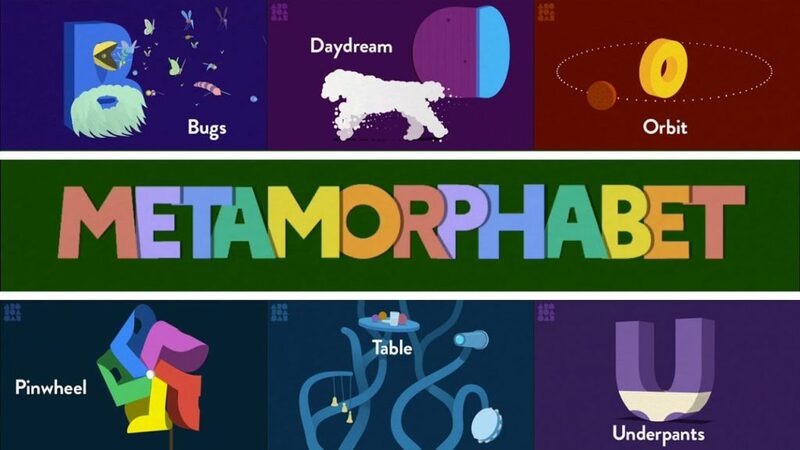 About the App: Winner of an Apple Design Award, Metamorphabet is going to allow kids to play with letters and words like never before. Each of the 26 letters of the alphabet come with surprising transformations and are able to be moved and played with in an interactive and fun way. This app is going to allow kids to be able to “explore the alphabet and expand their vocabulary” as they are having fun. About the App: The Sight Word Adventure app is geared for ages 5 and under. It will allow kids to practice built-in high-frequency sight words. Along with words that already come in the app, parents also have the option to add their own words into the gameplay for their kids as well. This is going to allow for some customization and emphasis on words that you would like your child to learn. This fun and interactive app is going to offer a good selection of different games to choose from as well. All of this is going to allow kids to stay engaged while learning. About the App: The WinkyThink Logic Puzzles game is best suited for children ages 6-8. In the app, users will get access to 180 puzzles that gradually become more difficult as you progress. Each puzzle helps with problem-solving, memory, and hand-eye coordination. With all of the different types of puzzles that are offered as well, users will continue to stay engaged as they play. About the App: The Flow Free: Bridges game is a puzzle and strategy game best suited for children 8 and older. This app encourages problem-solving through a variety of different maps. Users will be able to choose from packs, challenges, and more to keep gameplay fresh and interesting. Smartphones are a part of culture and kids are beginning to use them at a younger and younger age. So if you are going to allow your children to use a smartphone, why not allow them to be learning while they do? The educational apps on this list are great because they are going to have a perfect balance of both fun and learning. With most of the apps on this list, kids won’t even know that they are learning while they play. Have you used any of these apps before? If so, we would love to hear your feedback in the comments below. Also, if there is an education app that you believe should be on this list, we love to hear about that as well.